Home > iQ·link Solo | Get it for FREE! iQ·link Solo | Get it for FREE! The FREE version license is yours to keep. FREE support is available from our online discussion Forum. – Access to FREE GIS data for download. – Access to FREE Training videos. – Access to Radio Manufacturers Equipment files. The Oracle XE database is provided for FREE. 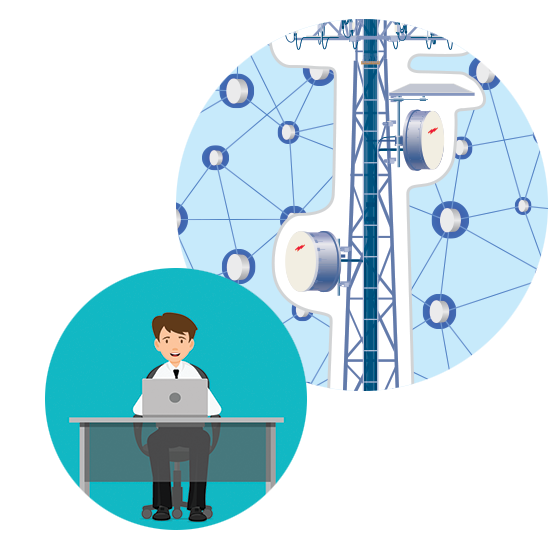 A Note for Users in the United States: iQ·link can be used to design microwave links globally. In addition to the design features, iQ·link offers a powerful intra-system interference calculation (analysis between your own links). However, iQ·link is not intended to facilitate or replace the FCC Part 101 process for frequency coordination in the licensed and shared frequency bands. Please click here for more information on the FCC Part 101 coordination process. Export Restrictions: The Software is subject to U.S. export laws and regulations, and You agree not to export the Software in violation of those laws and regulations. You agree not to install or use the Software in any country where applicable law requires the Software to be in a language other than English unless You have been provided with a translation. After download, double-click the “iQlinkXG.exe” file to begin installation and follow the prompts. Please run the install package with no other programs open. It’s best if you install it on a PC that does not already have any version of Oracle installed as this package will install the free Oracle XE database. Click on the “About” button on the login window. The About window will have a Host ID field. Copy and paste (Ctrl-C, Ctrl-V) the Host ID into an e-mail and send it to iqlink-support@comsearch.com. Your license key will be sent within 2 business days. You must use a valid company email address (free email services like Yahoo! and Gmail are not acceptable) and provide the country in which you reside plus your full name, title, company and phone number in order to receive the license key.